Thank you Bernd (DF2ZC) for this 2m- EME qso . ZB land is a new one for me. 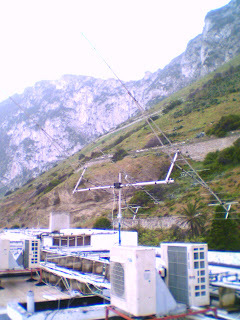 DF2ZC and DF7FB operated from Gilbraltar (IM76HD) from 20 of April with the TS2000 - 2 X 17 el Tonna and 200w .